Siantappo is generally played with 4 players, although it is possible with any number between 3 and 6. The main aim of the game is to get rid of all your cards first, and the game is split into rounds and turns. 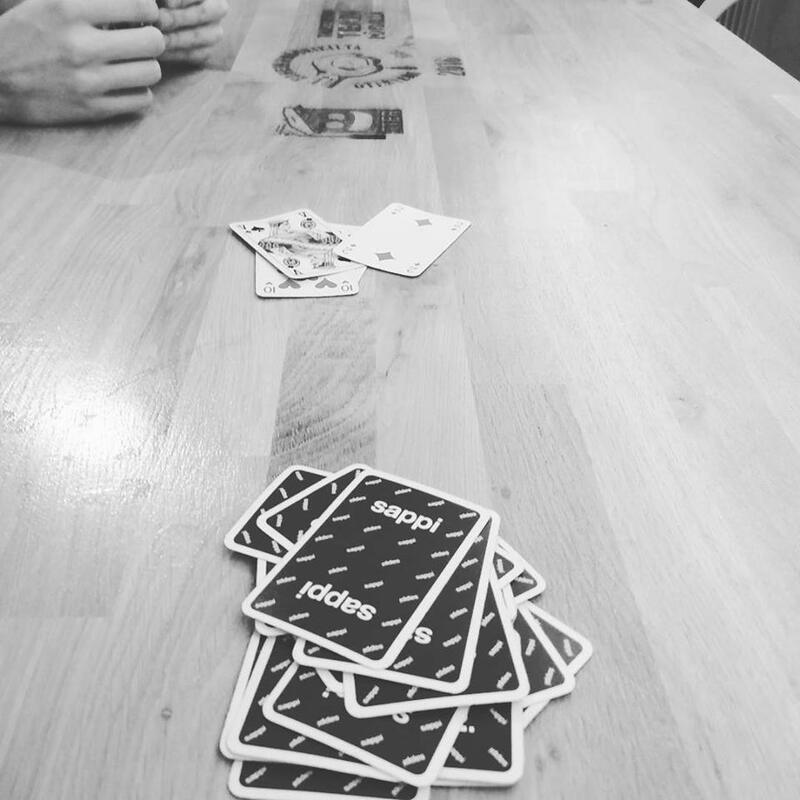 A round is played until only one player has cards left, at which point they are declared the loser and another round begins. The first round of Siantappo begins with the player who has the 3 of Clubs. The starter can play singles, pairs, triples, four of a kind’s, or straights of three cards up (suit does not matter, although it cannot involve a 2.) Each other player then can play a higher version of this (pairs etc.) if possible, or they can choose to pass. Once passed, a player cannot re-enter the turn. Once all players except one have passed, the winner gets to start the next turn. If the winner of the turn has run out of cards, the next player on their left starts. Once the round has ended (one player only has cards left) and cards for the next round have been dealt, the winners and losers must swap some cards. The winner swaps their worst two for the loser’s best two, whilst the player in second swaps their single worst with the player in third’s best. These must be the numerically best/worst cards, there is no choice on what to give. The loser of the previous round starts the game. The order of the suits in Siantappo is: Hearts > Diamonds > Clubs > Spades. The order of the numbers is: 3 –> Ace –> 2, i.e. the same order as in most card games, but with 2 as the highest. The 2 of Hearts is therefore the highest card and can be played on any single, whilst the 3 of Spades is the lowest. Disclaimer: No pigs were harmed in the making of this card game.